Moony are best newborn Japanese diapers! Thus Moony prevents diaper rash, irritation and reddening. The inner layer of the diapers absorbs pee and soft poo at once, it helps to avoid leakage. 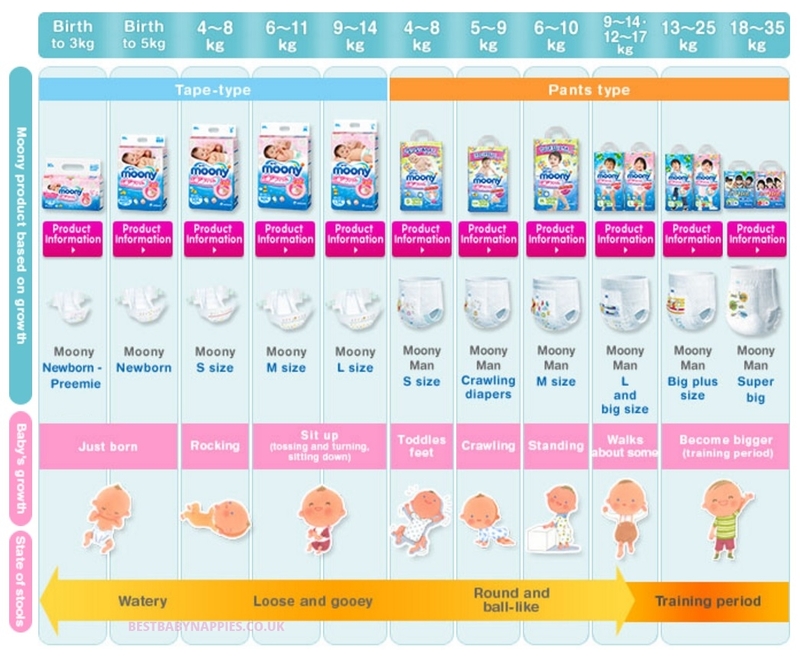 Moony diapers sizes fully correspond babies’ physical particularities. 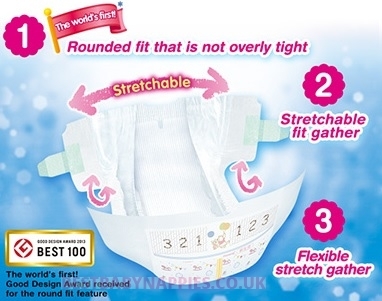 Elastic bands on the waist fix the diaper, thus your baby is active! Diapers have fullness indicator that shows when it is time to change the diaper. Moony newborn diapers fit babies up to 5 kilos. Moony newborn diapers price for 90 items with sale from UK! WHY TO CHOOSE MOONY DIAPERS FOR NEWBORN BABIES? Moony nappies have an indicator that changes its colour from yellow to blue-green demonstrating how full the nappy is! Moony airfit diapers help parents to take care of a baby! Moony diapers give a unique opportunity to teach your precious baby to use a potty chair. HOW TO BUY MOONY DIAPERS?